He uses flats and obviously different rules but I really like this blog. I am not that keen on flats but these are painted superbly. Check out his battle reports too. He uses Volley and Bayonet. I am painting some SYW Zinnfiguren at the moment. They are not quite finished but there are some photos on my blog. I going to base mine on single bases as well. HoW can easily played with single based units as it does not use figure removal. If you are interested in Zinnfiguren here a couple of links. 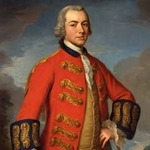 Christian is also a brilliant resource for artillery of the period. A fine blog. Christian was kind enough to offer some suggestions and thoughts on the rules via the Yahoo group, during playtesting. Very nice. 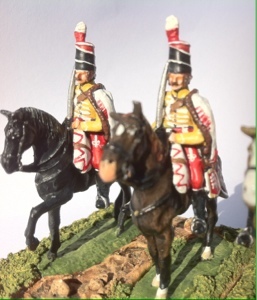 Did you finish off your unit of Prussian Flats - Ive always been attracted since seeing a unit painted up in an 'old school' book, but haven't quite had the courage to take the plunge with flats myself.